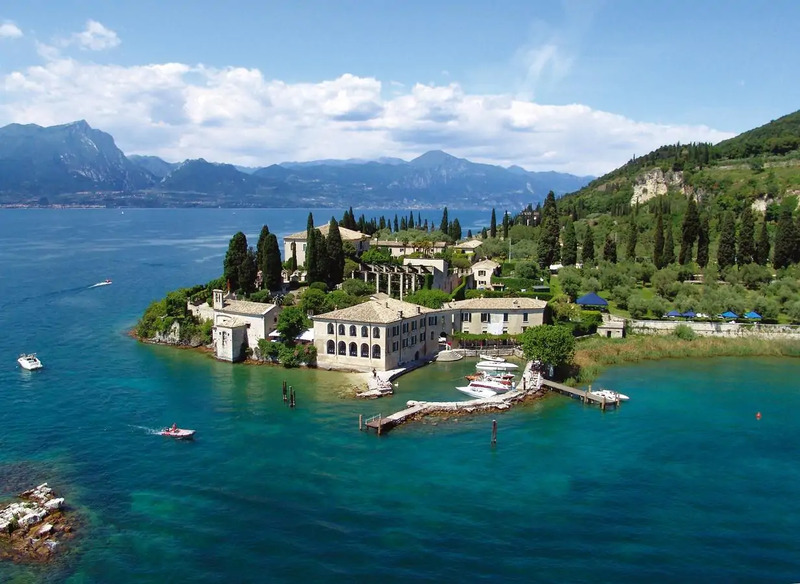 Set on Lake Garda’s shores and featuring a private harbour and heliport, Locanda San Vigilio is a 16th-century Villa surrounded by a 100000-square metre park, a 5-minute drive from Garda. It offers free WiFi, an outdoor swimming pool and free access to the property's beach. All rooms and suites boast air conditioning, a TV, fridge and antique furnishings. Some units also have views of the lake. A sweet and savoury buffet breakfast is served daily at the restaurant or on the terrace, both overlooking the lake. The restaurant specialises in local cuisine, also offering international dishes. Guests are advised to book in advance. Peschiera del Garda is 20 km. Parking is free.